Key Bank in Portland, Maine. Police in Maine and the FBI are searching for suspects wanted in connection with two bank robberies in Portland Friday morning. 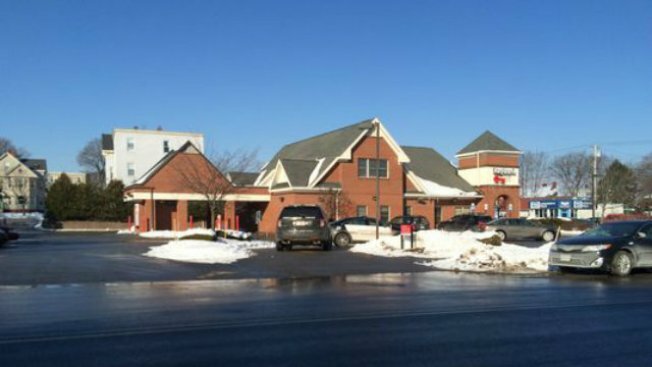 According to police, two suspects wearing masks walked into Key Bank branches on Forest Avenue and Auburn Street, demanding cash from the tellers. Authorities say the robberies within minutes of one another and that the suspects fled on foot from one bank to another. Police also say a dye pack exploded outside of the bank and that the suspects may have dye stains on their hands. The suspects were last seen fleeing in a getaway car. No one was injured in either robbery.